Allan's new site is awesomely interactive and features a social media aggregator, blog, online donations through Stripe and much more. Take a look and support Allan in his quest for the Federal Liberal nomination in Huron-Bruce! Online registrations and full e-commerce with Paypal integration PLUS an awesome, blazing hot creative visual round out this solution for Ruben and the folks @ SFA. Check them out and sign up today! Jim and Bob @ Branch 183 were looking for an update to their older site. We designed a user friendly, responsive site, with an awesome event calendar to keep the community up to date! 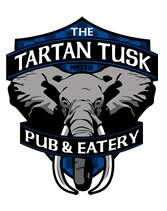 The Tartan Tusk Pub & Eatery is Kincardine's newest hot spot. We cooked up a responsive design with a customizable menu (no PDFs here! ), SM aggregator, and more! Fully responsive, Linda's new website is *arguably* the easiest Real Estate website to update in history! Also including full DDF integration, without paying through the nose. New look, new features, more visitors! 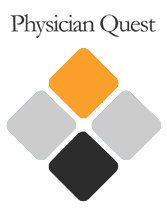 Physician Quest required an attractive, responsive, easy to use website to use as a tool to attract physicians to the Kincardine and Saugeen Shores area. Take a look at our work, and see if you want to move here! 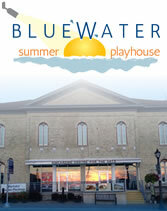 The Bluewater Summer Playhouse was one of our Website Rescue clients-we provided them with a custom CMS including a show calendar, jQuery image slider and more! Without a doubt, the most popular website in Kincardine! 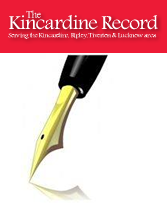 Millions of visitors a year check out The Kincardine Record, which has now become THE news source in Kincardine. Thank you, Liz-for all you do! 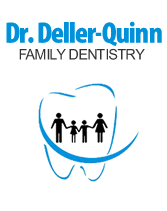 We provided Dr. Deller-Quinn Family Dentistry with a fully responsive, fully customizable web solution that is sleek, modern and reflects the gorgeous branding the firm had developed. Take a look..and don't forget to smile! 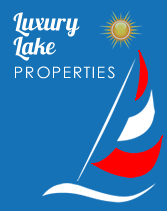 Luxury Lake Properties offers a wide variety of executive rental properties to suit your dream getaway by the shores of Lake Huron in Bruce County and Huron County. This site allows for booking online! Huron Shores Hospice is a new initiative to bring a hospice to Bruce County. Take a look at this website to learn how you can help bring this vision to life. The Kincardine Family Health Team plays a vital role in our Kincardine community. We provided them with a custom CMS that allows them to update their programs, events and more. The Maitland Valley Family Health Team was seeking a way to update their site on an ongoing basis to provide their patients with the latest news. We provided a full solution including hosting! CLKD was a website rescue client that needed help to restore their site after a hack. We used our time machine to grab the old content and re-build from the ground up, and set them up with a nightly backup. 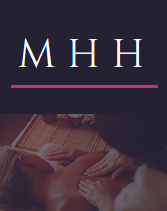 Amber needed an overhaul on her website to compliment her expansion into mobile massage, along with increased search placement. We gave her a responsive, elegant solution that will leave you feeling relaxed and ready for some "healing hands." See what you think! 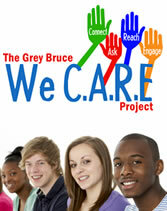 This site is an initiative of community agencies/school boards who recognize the importance of the prevention of youth suicide. We gave them 2 sites in one-check it out! Lowry Stone has been with us since the beginning, through several designs, and are back-better than ever! Offering stone work, snow removal, and aerial work, take a look through the new design! StoryOfLife.ca is a site dedicated to the stories of those who have gone before us should never be forgotten. This site was designed for membership using the PayPal API and PHP. Kincardine Doggy Daycare was founded in 2017 by Milica Wickert, as a result of her lifelong love for dogs of all shapes and sizes! Milica needed a simple website that she could update showing off her awesome establishment, and we provided her with one! Yet another not for profit solution! 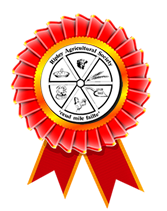 As a proud former Ripley resident, our lead designer was more than thrilled to provide the Ripley Fall Fair with an affordable, attractive CMS solution. We provided Dave with a clean, masculine, nautical design that captures the beauty of the area, with a touch of "big city" style. Take note agents-our real estate sites are super easy to update! Ken Wall is a great guy-AND a great real estate agent! Ken needed a way to push his listings to the masses, and we provided the solution with a super quick turnaround. Our real estate sites are a breeze to update! 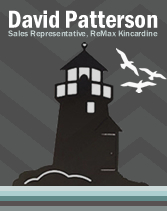 Sandra Reid is a local agent who asked us to deliver a site she could update herself. We provided her with an easy to use CMS that allows her to push content to her client base. The Kincardine Dive Locker stocks a wide selection of masks, flippers, snorkels, and accessories for the skin diving enthusiast. We built them a fully functional e-commerce solution using Magento! 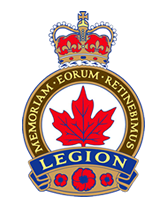 SWORDS Canada is a scuba diving project for veterans and their families can give people with physical and emotional disabilities an opportunity to participate in an active sport with able-bodied peers. 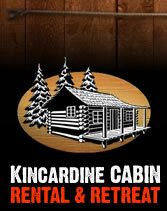 Kincardine Cabin Retreat is hidden amongst giant cedar trees overlooking the shores of Lake Huron. We provided them with a custom CMS solution including booking/online payments. Bradstones Construction has been a builder of fine homes since 1973. Check out their slick, easy to use, and visually appealing site built for an affordable price! 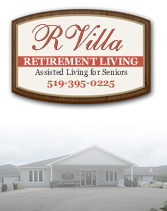 Kincardine's Next Distinguished Address! Russ came to us with the need to develop a site that conveyed the prestige of living in Stonehaven-we provided that via our custom CMS solution. Take a look-new lots available. 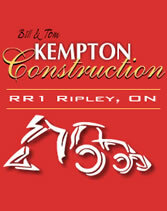 Kempton Construction came to us for their first web offering-we provided them with the ability to update all aspects of their website easily through their web browser! 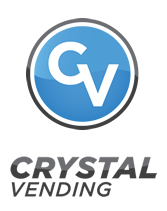 With over 25 years in business, Crystal Vending has a solution for all your business' beverage needs. Bottled water, coffee, confectionary items, soft drinks and energy drinks, they have a program to suit any application that you may require. We developed an online ordering system for compostable pods! 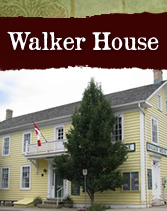 Built in 1850 as an Inn and Tavern by Francis Walker, the Walker House has been fully restored as a Heritage Centre for your visiting pleasure, as you tour and relax in beautiful Kincardine. Check out the custom CMS we built for the historic Walker House! 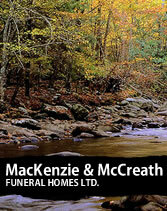 MacKenzie & McCreath Funeral Homes have been serving the Ripley and Lucknow areas since 1952. We developed a custom CMS for them including a donation & online condolences system. 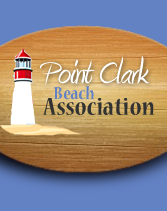 The Point Clark Beach Association needed a facelift-we provided them with the ability to update all aspects of their site for a very affordable price! We love helping NFPs! 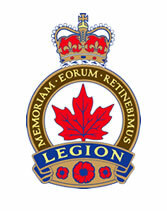 Julie @ the Ripley Huron Legion needed a way to update her website herself without paying for software. We provided her with an easy to use, responsive website. 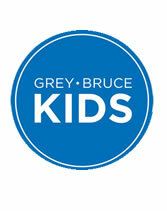 Grey Bruce Kids is a free magazine and online resource for parents. We developed an event calendar, custom WordPress theme, Twitter integration, banner ad system and more! 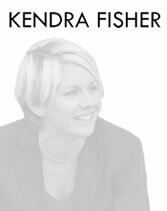 We developed a custom branding/CMS solution for motivational speaker and mental health advocate Kendra Fisher including full social media integration. 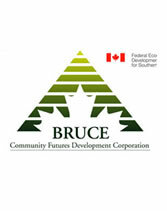 Bruce CFDC is a community based not for profit corporation. We provided them with a complete CMS solution, including online applications, client uploads and more. New site coming soon! 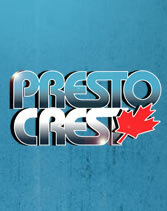 Presto Crest required an online order management system. We developed the Presto Crest Customer Centre where customers can upload their artwork, provide order specs and receive a tracking number. The GLBS turned us loose on their project, and we gave them a site they can update at any time, anywhere. Easy to use and fun to look at, this site allows them publicize their events in real time. 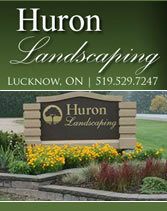 Huron Landscaping was one of our first custom CMS solutions developed when our lead developer was working @ HuronTel. The site allows the company to upload their latest flyers and promotions. 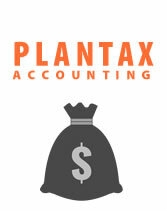 Plantax Accounting was one of our Website Rescue clients-they needed a site they could maintain themselves. Now they can edit any page, any time with ease using our custom CMS system. 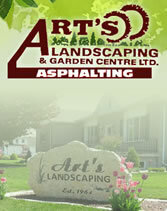 As featured on the Marilyn Dennis show, Art's Landscaping is the choice for all your landscaping and pavement needs. We provided them with a fresh CMS solution highlighted by a jQuery scroller. 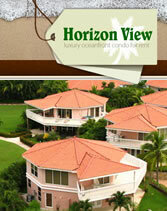 Horizon View was one of our first clients-a beautiful spot required a beautiful web design! We provided the owners with an online booking system and full control of all facets of their solution. 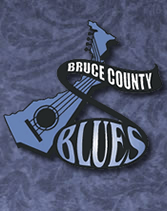 The Bruce County Blues Society (BCB) was founded in and based out of Kincardine. 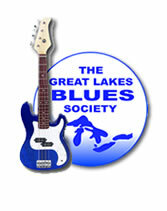 We developed a custom CMS/YouTube/Facebook Solution for the Blues Society. Gary came to us with the need to overhaul his existing website. Accessibility and connection with the residents was the key-we hooked in their Facebook and provided an easy way to get in touch with loved ones! All easily updated with our custom CMS! We didn't design it, but we host it! 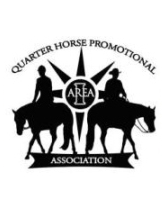 If you love horses, check out the A1QH Promo Association...and if you want affordable, reliable hosting with nightly backups & IMAP email, check us out! 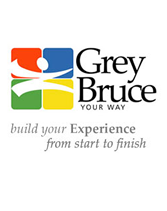 Grey Bruce...YOUR WAY! is your one stop shop for booking Experiences, Accommodations, Transportation and vacation Packages within both Grey and Bruce Counties located in Mid Western Ontario Canada. An oldie, but a goodie! 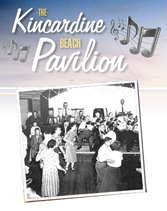 One of the first websites we ever designed, check out the Kincardine Pavilion for weddings, concerts, public speaking engagements, and much more!